The Caspian Sea, landlocked between Iran, Russia, and the former Soviet states of Azerbaijan, Kazakhstan, and Turkmenistan has been a point of dispute ever since the 1991 collapse of the Soviet Union. On August 12, 26 years after Soviet dissolution, the five countries signed the Convention on the Legal Status of the Caspian Sea. The treaty ends the years-old landmark dispute in favor of Russia’s interests. The man behind Iran’s acceptance of the treaty is a dictator, Supreme Leader Ali Khamenei. He permitted President Hassan Rouhani to sign the agreement that halves Iran’s territorial waters (compared to Iranian-Soviet treaties of 1921 and 1940) and reduces its share from 20 percent, as the country proposed in 1996 negotiations, to just 11 percent under the new agreement, giving most of Iran’s neutral resources under the seabed to Azerbaijan. After the Soviet Union collapsed, the newly emerged countries that border the Caspian Sea disputed about their shares of the sea and its neutral resources. It resulted in a series of negotiations in 1996. From the very beginning of the talks, Iranian authorities had no clear strategy to protect their country’s interests. It is believed that their inability of strategic decision-making was caused by their lack of understanding of the principles of the United Nations Convention on the Law of the Sea, which lays out the rights and responsibilities of nations concerning their use of the world’s seas. According to Rajab Safarov, an advisor to Russia’s special Caspian Sea working group, it was Iran that offered to reduce its share from 50 percent to only 20 percent in 1996. “If Iran had persisted on its 50 percent share, it might have succeeded in gaining 20 percent today, but surprisingly they didn’t,” Safarov said during an interview with BBC Persian on August 12. Iranian officials tried to discredit Safarov’s comments, first by claiming that he was never involved in the 1996 talks and later by saying that he was involved, but lied. Russian media and sources in the Russian Ministry of Foreign Affairs claim this is disinformation spread by Iran’s regime to avoid protests from erupting in the country. Iran’s move in 1996 surprised the Russian authorities, who expected the country would have persisted on its 50 percent share. By offering 30 percent to Azerbaijan and Turkmenistan, Iran hoped to establish close ties with these two countries, allowing Tehran to export its Shiite ideology like they did to Iraq, Syria, Yemen, and Lebanon. However, this strategy didn’t work out as the Azeri and Turkmen governments both chose a path of secularism. They preferred closer ties with Russia instead of Iran. Under 1921 and 1940 Iranian-Soviet treaties, Iran had a 50 percent share of the Caspian Sea. Since 1996, Iran had persisted on a 20 percent share. 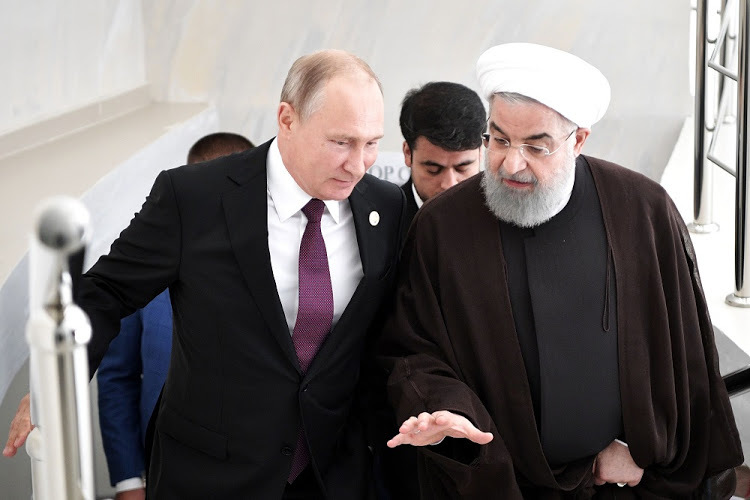 To force Iran’s authorities to give up a further 9 percent under the agreement of August 12, Russia used Iran’s political and economic issues to put pressure on them. For Iran to survive and not to be fully isolated, especially after Donald J. Trump’s administration abandoned the nuclear deal followed by U.S. sanctions and political pressure of the E.U., the country was forced to obey to Russia’s request and accept only an 11 percent share of the Caspian Sea. Iran’s refusal would have resulted in Russia forcing Iranian forces to leave Syria – an unwanted scenario for Iran as this would mean a decrease of influence. Iran’s Islamic regime tried their best to censor all news about the treaty and the acceptance of the terms, but after Russian news media leaked details that showed the decline of Iran’s share from 20 to just 11 percent, criticism appeared in domestic, international, and social media. Since December 2017, widespread protests are ongoing across Iran, despite brutal suppression by the regime. One of the key reasons behind these protests is the country’s economic problems such as currency devaluation, rising prices, and unemployment. During these protests, Iranians have always chanted slogans against Iran’s regional and international policies. “Not for Gaza, not for Lebanon, my life is only for Iran” and “Let Syria be, care about us” are examples of frequently heard slogans. Iran’s authorities have not only not listened to these slogans but even decided to give up on Iran’s shares in the Caspian Sea in exchange for the increase of hegemony over Syria. This decision angered Iranian opposition activists, who organized protests against this decision. The demonstration started in front of the parliament in the capital on Saturday morning. Security forces quickly arrested some of the protesters including prominent Iranian lawyers and human right activists such as Qasem Sholeh-Sa’adi, Arash Keykhosravi, Mohammad Noorizad, and Masoud Javadiyeh. The first two were transferred to Fashafouyeh prison in southern Tehran, where they were kept with dangerous criminals. Ever since the 1979 revolution, the main goal of Iran’s international and regional policy has been the export of the Islamic Revolution to the Middle East and North Africa. 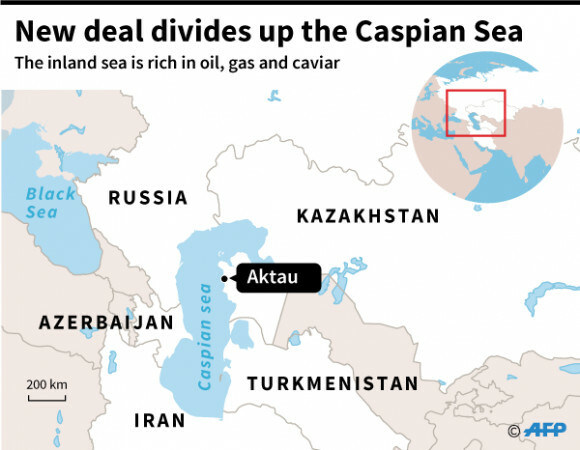 To reach this goal, Iran’s regime goes to great lengths: they sacrifice the country’s natural resources and its territorial integrity, the latest treaty on the Caspian Sea being an example. By giving up shares, Russia allowed Iran to stay in Syria and play a role in the reconstruction of the war-torn country. This lets Iran establish hegemony over Syria. The policy has not only wasted a significant amount of Iran’s wealth but also isolated the country from the rest of the world. As this affects the economy, citizens pay the price.